PR Are Not Your Friends. They Will Lie to Your Face. Three weeks ago, Michel Ancel stated on Instagram that Beyond Good & Evil 2 would not be present at E3 2017. He commented that the game wouldn’t be a good fit for E3, and that fans should expect a proper reveal some time later in the year. It was a pretty cut and dry statement, and journalists at all the major outlets reported it as fact. Beyond Good & Evil 2 would not appear at E3 2017. At Ubisoft’s E3 2017 press conference, the final reveal of the show was a multiple minutes long CGI trailer for Beyond Good & Evil 2. 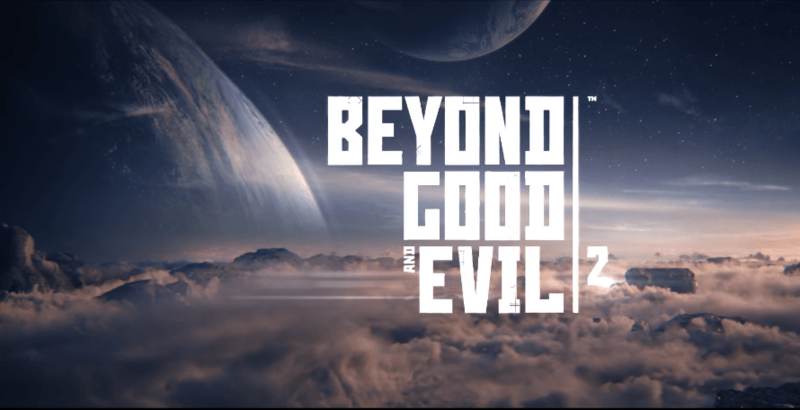 The statement that Beyond Good & Evil 2 would skip E3 2017 was a lie. It may have been a white lie, told in order to raise excitement when the reveal happened, but it was still a lie. It was a statement made to imply a product would not be shown, in the knowledge it would be shown. E3 press conferences are fairly locked down in advance of happening. Show floor space is booked to showcase trailers played on loop, trailers are finished long in advance of their reveal events, and staff relating to the project are flown out to attend the reveal. It seems incredibly unlikely that three weeks out from E3, Ubisoft didn’t know for a fact BGE2 would be their closer for the show. They chose to state that the game was not coming, rather than not respond to the question or give a no comment response on the topic. Back in 2015, I wrote for Destructoid about how Supermassive Games were developing a piece of PSVR DLC for Until Dawn titled Rush of Blood. I accurately gave the name of the release, a description of the demo that would later make the rounds at trade shows, and an explanation of how the game functioned. The same day, Supermassive took part in a Reddit AMA and when asked about my Rush of Blood report, denied they were working on any DLC for Until Dawn. While technically true, Rush of Blood was a stand alone release rather than DLC, they knew full well they were being asked if the project existed and chose to imply it did not exist. While not technically a lie, it was undoubtedly a lie of omission. The game was revealed a week later at Paris Games Week, and was exactly as I had described it. The denial of Rush of Blood’s existence threw me as a journalist under the bus. I accurately reported on a product, giving consumers accurate information on an upcoming release, and Supermassive’s decision to deny the product existed meant that for a week I was considered a liar and an inaccurate or poor journalist. For a week, I was not just met with scepticism, but with outright claims I had lied, because PR denied the existance of a game that they knew existed. While these are a couple of very specific examples, they are part of a wider industry trend that is woefully underdiscussed. As an industry, we have become overly accepting of this idea that it’s okay for PR to actively lie to consumers if it will help their products sell better or be more positively recieved. PR dishonesty is considered par for the course. PR companies jobs are to show games to consumers as only their best sides, none of their flaws. PR are here to sell products regardless of quality, and it’s an important role in the industry. The problem is, by lying in transparent ways that can be easily highlighted in the short term, they’re doing undeniable harm to their own segment of the industry. Even without digging into the murky waters of the ethics of dishonesty, PR companies are harming themselves long term in exchange for short term gains. PR companies have every right to lie. They have every right to deny a product exists, then a week later reveal it. The problem for them is that by denying a game’s existence this close to its reveal, they’re eroding consumer trust in their denials, and removing the ability to deny a product exists from their effective playbook. A great example of this is the recent announcement of Pokemon Ultra Sun and Ultra Moon. Temporarily, the pair of games was listed on a Nintendo press site as coming to Switch, before Nintendo later denied its existence. I personally as a journalist doubted that this denial actually meant the game didn’t exist. Why did I doubt their denial? Because PR as an industry has begun to erode my faith that denials are always sincere definitive statements. 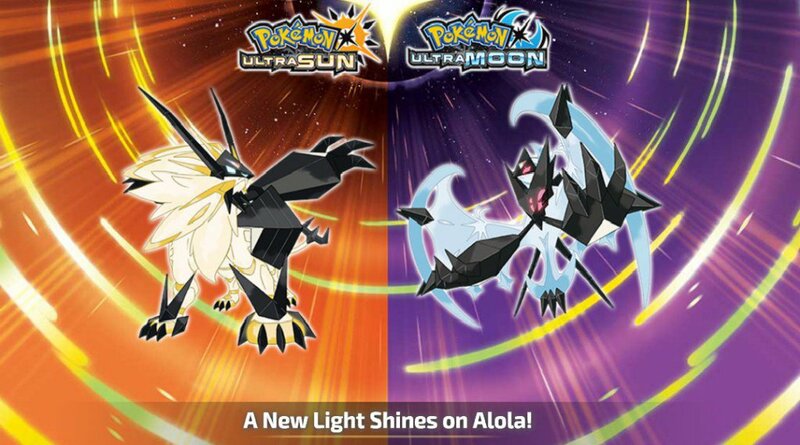 I saw the denial that Ultra Sun and Moon for Switch existed. I read it as an announcement that neither had been officially announced for the Switch and nothing more. PR are sacrificing long term trust in their abilty to deny products in exchange for short term gains when announcements are slightly more exciting than they might have otherwise been. Abstracting out a little from these specific examples, the fact that PR will lie when they think it’s in their best interests is something that consumers and journalists need to keep in mind now more than ever. If a company thinks it’s acceptable to lie about a game existing to get you more excited, they’ve already demonstrated that they do not have an “all lies to the consumer are bad” stance. The question is where each company draws the line, what they personally believe is a lie to far, and there’s no transparent way to know that from the outside. Treat every statement made by PR with scepticism. Assume everything said by PR may be a lie or an exageration. Remember that PR companies are not your friends, and they will lie right to your face if they think it’s what’s in their personal best interests. Taking into account the job of PR, how would you want them to tackle this? We can’t honestly expect them to roll over after every leak and reveal everything, especially if the leak is early on in development. What would you like them to do instead of flatly denying it? PR are on a ledge. Their job is to communicate with fans and press, but they also have limits to what they can and cannot say at certain times. It’s not like they can clam up between releases and announcements, especially if they are managing several titles at the same time. I can appreciate where you are coming from with this, but how do you propose PR resolve this? What would be your solution if you were in their shoes? Touche. I don’t know why I didn’t think of that. I know I thought, “No comment,” was a bad approach because that doesn’t really work in dispelling rumours, and would probably have the opposite affect. But your suggestion works perfectly. How I see it, this isn’t actually about what PR companies are supposed to do. It’s merely a reminder to the public that everything PR does or says is only in the interest of advertising the product. Everything else comes second to that. It’s important for people to realise that fact. I think that would only serve to confirm the rumour. candle340’s suggestions work best as it’s a blanket statement that if you push from the beginning will neither deny or confirm the rumour. However thinking about it, it could also inadvertently encourage the rumour. It’s a fine line to walk and I can understand it being something that throws PR people off as it’s not something that happens everyday. This is a very grey area. I hate leaks close to these events because they take away from my enjoyment of those events. So I give the PR the right to lie and cheat all they want to maintain my enjoyment of that event. Even if it causes harm to journalists. My enjoyment will always matter to me more than a single individual’s credibility. Outside of these events I tend to take the journalist’s side more, but since these events take place all over they year and things are usually prepared weeks in advance its very hard to take sides in the matter. Where does the line between acceptable leaks and leaks that take away from reveals exist? Should journalists sit on possible leaks few weeks before these events? What events are big enough to stop leaks for? I dont think there are clear cut answers. Personally I only care about a few events (E3, PSX, TGS, Gamescon) and to a lesser degree in that order. Is it on my shoulders to stop reading media/browsing the internet close to these events if I want my enjoyment be kept intact? I often try to do that, but I also want to watch these events with other livestreamers (Easy Allies, Dropped Frames, Giant Bomb etc.) and they will always report on these leaks in their preshows. So I probably should avoid their preshows then? The preshows are a part of the enjoyment I get from these events so it would still take away from my enjoyment. I know nobody likes these vague answers, but they are much better than blatant lies! This seems so straight forward, doesn’t it? And it builds MORE excitement. If I hear “The game won’t be shown at E3” and I believe it, then perhaps I don’t have any reason to care about E3. Then later on I realize “oh, I missed it,” instead of watching a livestream or something in the HOPE that I’ll get to see the thing that I want, which I would have done if they had followed the pattern Milo suggests here. It just seems backwards. Of course companies are going to lie. They can’t confirm something they may or may not be working on until ready. Are you only writing this post to whine that a company lied about X game, which ends up being true! It happens, get over it. Ah, fatalism. That certainly never leads to problems. First off, I don’t think this article was written out of self-pity, and telling Laura to “get over it” because “it happens” misses the point entirely. Laura is simply pointing out a truth of the industry that often gets taken for granted and highlighting certain flaws in the approach (namely, long term erosion of credibility and consumer trust). She’s also advising consumer caution, saying that we, as the audience, must be aware that this happens and take whatever company line is given to us with a grain of salt. She outright says in the article that PR has the right to lie, if they so choose, she just feels that it isn’t always best choice. Second, I feel she has a bit more of a right to complain when it comes to this subject than some others. As she says, she has first hand experience being thrown to the wolves by the industry, and while she certainly isn’t the only games journalist to have this happen to them she does often seem to receive harsher backlash. People seem to be especially quick to discredit her, despite the fact that she has a surprisingly solid and accurate track record when it comes to leaks and reveals, and in my opinion has some of the strongest pro-consumer ethics you’ll ever see in this field of journalism. I think part of the problem, specifically for you guys, is that we already expect and accept that PR blatantly lies. They have no consumer trust, they don’t care and it doesn’t really affect them. But you, as a journalist, when you post a lie PR said as fact, damages _your_ credibility, but you also can’t not post it. A tough problem to solve for sure. I think you are all being a bit lax. Lying to your customers and the press is deeply unethical. I think we should pay more attention to who is doing it and consider that in any future dealings with that individual, PR company and the games company who employs them. When you’re the source of a leak people WILL call you a liar. It’s your word, more precisely the word of your sources that gave you the information, against the unknown. You’re the reporter, and reporters are sometimes wrong because sources are sometimes wrong. But even when you’re right, you don’t know if you’re REALLY right until a company confirms it with an official announcement. That’s the nature of the business of a leaker and a reporter that leaks information. It comes with the territory. PR saying x game isn’t releasing when x outlet leaked info is a knee-jerk reaction in an attempt to save face. Thousands of developers work on some of these projects that are leaked, and the publishers spend millions to ensure the games are not only being made, but are ready for announcements. So put yourself in the shoes of a PR person or the industry, or a publisher, and imagine something that someone spent years making and touching up for a huge surprise announcement, and it was leaked ahead of schedule. Anyway….where is the option that Michel had the trailer ready for later, but decided last minute…”aaaa what the hell, let’s make this E3 special and show it anyway, the fans deserve…” , did you guys consider that Michel is an old player at Ubi and this could have happened easily because these guys are all friends and can make last minute decision…may have completely nothing to do with PR….and actually I am 100 % sure that it was the case this time….if you followed Michel on his Instagram for the past months and see his reactions to some comments….hell if you followed him for the past 14 years, you’d know that this project is too important for PR games etc., this open world in the universe of BGE has been his dream from the moment he started working on the original…let’s put negativities aside and just help him make this dream happen. I already see people (in this stupid society of “being offended by anything ” looking to ruin yet another project.